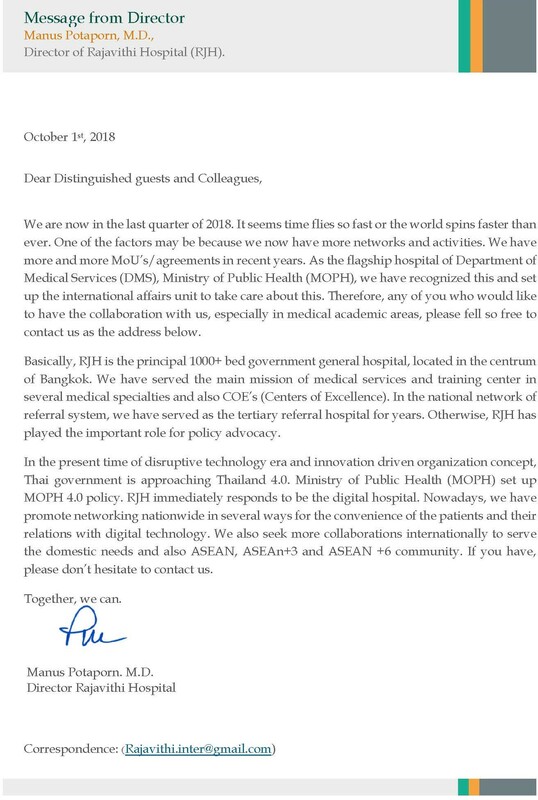 During the past six decades, Rajavithi Hospital has become a center of international training for countries such as Myanmar, Cambodia, Vietnam, Laos, Bhutan and several West African countries in compliance with an agreement signed 10 years ago, and we now conduct exchange programs for medical staff in Singapore, especially nursing programs. 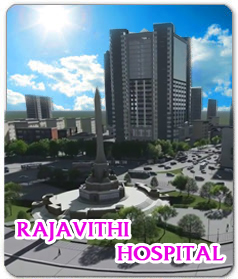 In addition to medical professional journal’s, the Rajavithi Hospital ENT program was reported in the Readers’ Digest and on television’s Discovery Channel to the wider public. Rajavithi Hospital has conducted several regular intensive training programs for various medical professionals of the Department of Medical Service, Office of the Permanent Secretary of Ministry of Public Health including some foreigners who are interested in attending our annual international training programs. They include Temporal Bone Dissection/Ear Surgery Course in 2012 as the 16th program and Head and Neck Oncology Course in 2012 as the 11th program which has received a good feedback from medical doctors of ENT in Southeast Asia who have continually attended the training program. Additionally, the Basic Diagnostic Therapeutic Endoscopy program was designed for international medical doctors. 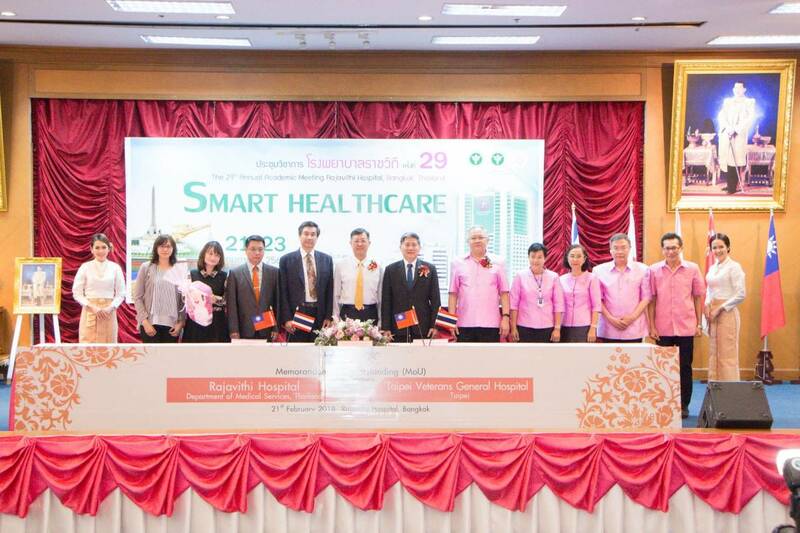 And the enhancement of nursing for critical patients program has been a joint project between the Institute of Cardiology and Parkway University of Singapore.